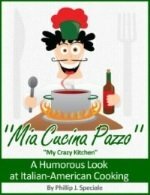 These delicious Italian Pork Recipes have been enjoyed by my family and friends for years. 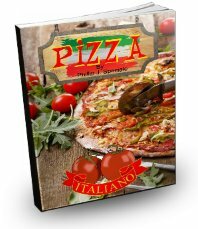 This versatile meat allows you to explore the many dishes Italy has to offer. 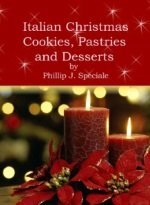 Tender, juicy tenderloin, delicious chops topped with plum tomatoes, porcini mushrooms and sweet peppers, pork roast with rosemary potatoes are some of my favorite Italian Pork Recipes that will satisfy the whole family. Everyone should be Italian at least once a week. I remember a great pork recipe that my mother made with potatoes and peas baked in a red sauce. It has a delicious flavor and the pork melts in your mouth. Another one of my favorite Italian Pork Recipes is braised pork chops served on a bed of grilled polenta. I've made this recipe several times and every time it gets better and better. Tender juicy chops served on a bed of grilled polenta. Breaded cutlets bathed in a red sauce with peas and potatoes. This pork and potato recipe has an excellent flavor and fills the house with the aroma of rosemary. Delicious pork rolls stuffed with prosciutto,mozzarella and sun dried tomatoes. Delicious ribs that shouldn't be shared. Crispy chops with arugula and cherry tomatoes. Tenderloin with cream and sun-dried tomatoes. Italian meat rolls stuffed with cheese and breadcrumbs and grilled to perfection. Sweet figs stuff these tender pork chops. Tender chops topped with mushrooms and a Marsala sauce. 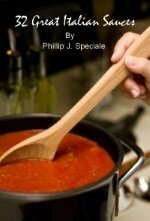 A delicious gravy for Sunday dinner. Tender pork braised in wine an herbs. Pork chops stuffed with Fontina cheese and prosciutto and coated with crisp breading. Delicious tenderloin made with a light cream sauce. Tender country-style ribs with sausage over pasta. Tender pork tenderloin topped with assorted peppers. 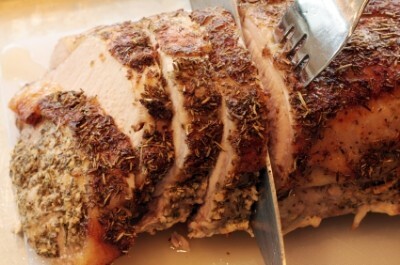 Delicious traditional Italian pork roast. Traditional pork tenderloin stuffed with prosciutto and cheese. Juicy grilled sausage topped with peppers, onions, mushrooms and tomatoes. Five great recipes using delicious dried aged sausage. Seasoned pork wrapped in crepes and topped with bechamel sauce and mozzarella. Juicy tender pork chop topped with a delicious sauce. Tender shredded pork sandwich topped with veggies. Tender pieces of pork braised in a traditional soffritto sauce. Boneless chops with a great flavor. Hearty dish for a cold day.